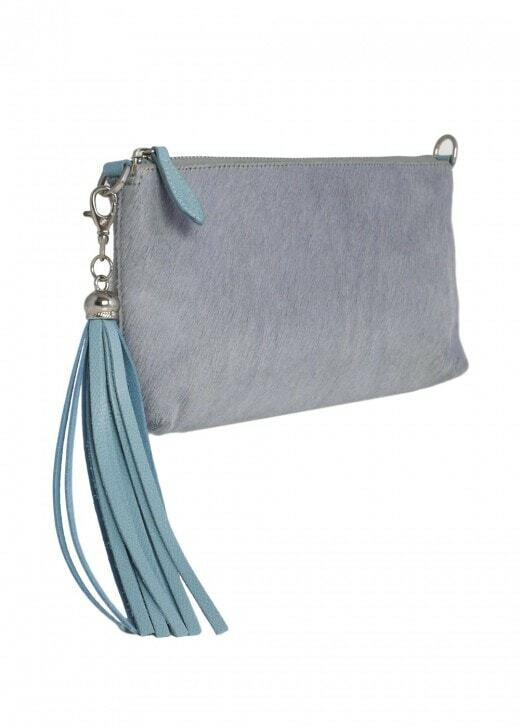 The blue grey furry clutch bag can be used with or without the shoulder strap and is the perfect size to carry your essentials including wallet, mobile and keys while still looking slim and beautiful. Internally there is a zipped pocket to one side and a slip pocket to the other. It is lined in a light beige twill and comes with a complimentary co-ordinating tassel.